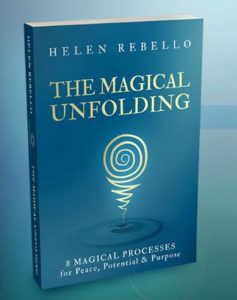 Helen Rebello is an intuitive mentor, self-development teacher, former tutor of the college of Cranio-Sacral therapy and author of the book “The Magical Unfolding: 8 Magical processes for Peace, Potential and Purpose.” This book we are discussing in this interview today together with some amazing tips from Helen. Could you tell me a bit more about yourself and what lead you to writing this book? Yes, I would love to talk tell you more about myself. In a nutshell, I started my life quite early on knowing I wanted to write, and I wanted to be a writer. I knew that from when I was about 8 years old. I was always good with words and I was good in English and I loved books like Alice in Wonderland and the Narnia books series, I loved that sense of magic and escapism. But, inevitable life came along and did its thing. In the book it will be explained more detailed, but I left home when I was 18 and going off the rails quite significantly. Then when I came back around from the craziness and I decided I needed to be more responsible. I thought I should better do something vocational, but I was ignoring my instincts to write and do an English degree. Instead I did a degree in Radiography and then I specialized in Ultrasound and so I worked in the Western Medical world for a few years. Knowing all the time, that it wasn’t really what I was here to do. I loved the people, but I it was like a conveyor belt. You never had time to spend with anyone and there was a lot of things that did not sit right with me. Long story short, I got overwhelmed and I knew I had to change things. I left and I got into Chinese medicine, and learned about the relationship between emotions and physical ailments, I just kind of learned how interrelated everything is, learned about energy, mindfulness and how much power we have to impact our lives. Over the course of the next decade or so I did more training and dived deeper into energies, meditation, yoga and completely shifted and changed my whole life around. As a result that inner urge to create and write just came back kicking and screaming, because I kind of stripped away all those layers that I pretended to be, and I became who I really am and therefore there was no hiding this urge to write. This idea to write this book was born quite a few years before I actually did it. I sadly lost my sister-in-law, she died of breast cancer at 39. I already knew I wanted to write the book at the time, and when she left us and immigrated to heaven. I thought, oh men, I can’t leave this planet without these things unsaid. I have to write and share it, especially, because my sister-in-law left things undone and unsaid. 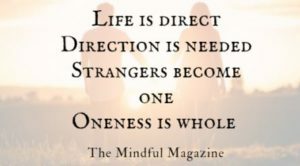 By then I was working already 15 years as an one-to-one mentor doing transformational work and doing yoga stuff as well. I just knew with this story, a lot of people would benefit from it, by telling them how I changed things around and how they can do the same as well. That is kind of where it all came from. What is the purpose of your book and how are the 8 steps formed? The 8 steps kind of in a way presented themselves as I was writing. I have recognized it for quite some time, that there are very similar stages people go through when I work with them. 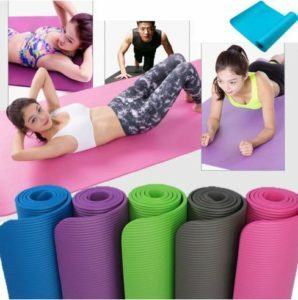 I have been trying to put it into a linear format, for quite some time, so that I can give people in the Western World as they are very head-lead and a better understanding of process. I could never quite put it into words, but as I was writing it just fell out of my head and out of my heart. Suddenly, it formed itself out in a process where magical is an acronym for. There is 8 steps, there is only 7 letters in the word magical. The first step is mainly a preparation for the other steps and the next steps are corresponding to what I was already doing anyways, but I corresponded it to Western mentality for them to understand. What inspired you to write your book for women and why? It is quite a biggy actually, as there is kind of a service level to this. Over the years I primarily worked with women. Because off course in the modern world, women try to juggle all of the things. We fought so hard to be equals and becoming more independent, getting the same payments as men and all of these huge issues. Our ancestors sorted this out for us and we got the benefit. But we are now in this world with so much tech, coming from we want it all, we now have too much. We have to balance all these things, be superwoman, and sometimes we feel that we failed because we juggle with many more things our ancestors were juggling with. There is also the deal is also how we transcend an ancestral pattern, that we have carried as women going back through the centuries. We are the space holders, we are the givers and the carers, because we inherited all the feminine qualities but somewhere along the line, we are doing that and subjugating ourselves at the same time. Trying to do my small bit to just lovingly poke peoples consciousness a bit. Just getting themselves to ask themselves some questions, I am not preaching anyone. Just inviting them to look at why they might be doing things and what is it about. How does it make them feel? I take them on a journey and hopefully they come out on the other side. Having a shift that makes them more happier and peaceful. Do you think it is possible to step out of the ancestral patterns? I think it is like anything, it starts with awareness. You can’t change anything until you are aware of the patterns. We have so many subconscious things that are going on, and beliefs we have and things we are unaware of. When we seek for help or support from people, and we become aware that we sabotaging ourselves, we become more aware. Awareness is key, it brings out things from the dark into the light so you can see it. It is entirely possible to change your ancestral patters, because we are in a time that we get to ask these questions. You were in training with a few great teachers before? How were your experiences with them, and what were your greatest lessons? Some of the teachers I trained with online, in person or in group workshops. One of the commonest threats that resonates with me daily, is that people like the Barefoot Doctor, with who I did workshops and online training’s for years, and Sonia Choquette. They have this similar slightly marvelously quality about themselves, they are very much about making difficult subjects easy to understand and accessible and fun. The biggest lessons is really, do not take anything too seriously, because we are living on a spinning planet, relying on gravity to keep us on the ground. Life is so much richer when you just get over yourself and just have a good laugh. When do you think you start knowing that you are in alignment with yourself? I am going to give you a slightly frustration answer, my instinct to this answer is that you won’t always know. In a way that is a clue, there is a saying: “if you think you can see your path it is not your path.” It is something that slowly emerges over times and it is coming back like healing an onion. When I have got body work training with clients, it feels like their body becomes more expansive, as they come more back home in their body. You can have huge shifts in your life and everything will be feeling easy, but after you might be coming against a wall again. But that won’t be saying you are on the wrong path, everything teaches you a lesson, after which you might come in your flow again. There is something that we unconsciously know when we do something that is not what we are supposed to do. If something feels really heavy, then it is not your thing. It is about working in your zone of genius, and you will feel that because it will start to feel effortlessly. I wouldn’t be me though if everything was super easy, struggles might come along. Some people do change very quickly, because they are so ready and those are the ones that usually contact me specifically. Usually it would still take a year, but you look at the person and it is almost like two different people. It is really scary to make changes, but you just have to make baby steps and start small and do something. Is the information in your book based on your coaching experience? As you said we are all each others’ teachers. 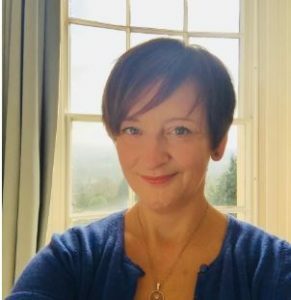 I worked with women that are very much where I used to be and many women who are more in the service related sections, that are usually not paid very well and a bit put upon because they are very giving. I have learned so much for them and I am so grateful that they trust me to walk along with them and for me to be their facilitator and their supporter. Learning about human compassion and strength, and every single woman has these qualities. I learned about courage and digging deep when it gets though. At the beginning it can be quite challenging, I am not going to lie about that. You can’t have a new bathroom, before you ripped out the old bathroom. You have to clean the dust and everything before you can settle in a new one. You have to be prepared to go through that little messy bit. But it is so worth it to come out of the other side, and I have seen many do that and I am so honored, and so proud of them. Is there another book coming? Off course, already half through writing the book I knew there would be other ones. I have two upcoming ideas for books, one will be about mid-life and the opportunities it gives you and the other one will be about ancestral energy. How can you go through daily life and try to stay true to yourself? I would say, start recognizing that you as worthy as anybody else and you have as much right to be here as anybody else. You are not broken, you haven’t failed, you have nothing to prove, you do not have to work extra hard to prove that you are worthy. You are already worthy as you are, you are good enough as you are and if you start embodying this believe within you and remind yourself of it daily you will feel so much better. See that in other people which enriches your relationships, and recognize that you can say “no” when you want to and “yes” when you want to. Do not only give and not give anything to yourself. You can buy the book here at Helen Rebello’s website. 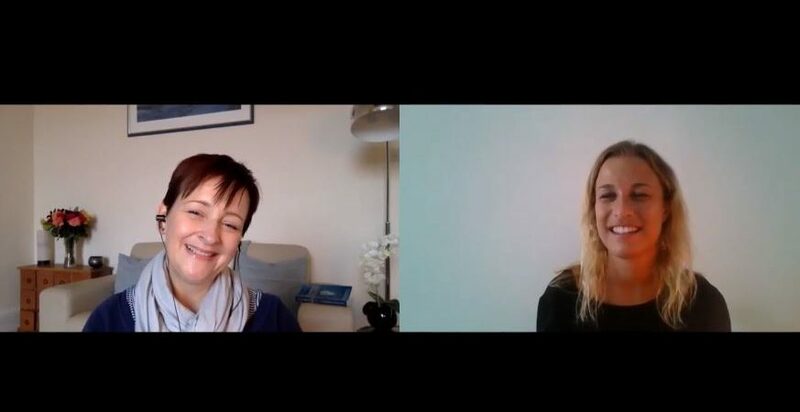 I (Michelle) am so honored to have spoken to Helen, she is such a bubbly, inspiring and creative person, who knows how to transcend messages well both in writing and speaking. Hope you enjoyed this as much as I did. What an amazing interview once again! I feel so blessed to have met all these people on the channel.